The story of Argentina goalkeeper Geronimo RULLI is quite a complicated one. He’s had a bumpy career so far – to say the least – that has been filled with ups and downs at every level. Having just turned 20 years old as a player for Estudiantes de La Plata in 2013, RULLI took the mantle of Los Pincharratas‘ No. 1 after the departure of Justo Villar and injury Agustin Silva flung him into the limelight. While filling in for Silva, RULLI grabbed a stronghold on the starting spot by setting a record for consecutive minutes without conceding a goal (588). He won the Ubaldi Fillol Award in 2014 and went on to appear 50 times for El León before signing with Uruguay’s Deportivo Maldonado in a curious move. Rulli ended up never making an appearance across the Río de La Plata. Immediately after signing, Rulli was loaned out to Real Sociedad for the 2014-2015 season. Following an early-season injury, he quickly asserted himself as Sociedad’s main goalkeeper. He missed just two matches due to suspension from December of 2014 to April of 2016. RULLI’s stellar form during his first two seasons at Sociedad earned him the starting gig for Argentina’s squad for the 2016 Summer Olympics. At the tournament, RULLI made a critical mistake that led to Portugal’s second goal of a 2-0 win in Argentina’s first match of the tournament. The entire team was a massive disappointment – RULLI included – and got bounced in the group stage. Unfazed by the poor performance at the Olympics, RULLI continued his impressive form for La Real and was signed permanently in January 2017, just six months after Manchester City had signed him and loaned him back out to Sociedad for the 2016-2017 season. From April of 2016 to January of 2018, RULLI made 62-consecutive starts for Sociedad in La Liga. A knee ligament injury and subsequent poor form marred his 2018 and flung him into a state of flux, having to compete with Miguel Angel Moya from October to the end of the year. On the international stage, RULLI’s fantastic displays in his early-20s with Estudiantes and Sociedad were practically ignored aside from being chosen for the Olympics. 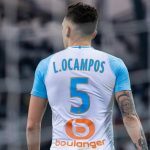 He was called up for two friendlies in March of 2015 but didn’t appear in either and was named in the preliminary squad for the 2016 Copa America but was excluded from the final roster. 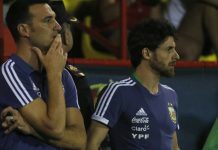 With Jorge SAMPAOLI at the helm, RULLI was a figure in a good amount of call-up lists, but he kept having to wait to make his international debut despite playing regularly for Sociedad, while Sergio ROMERO, Agustin MARCHESIN and Nahuel GUZMAN were given preference in friendlies. 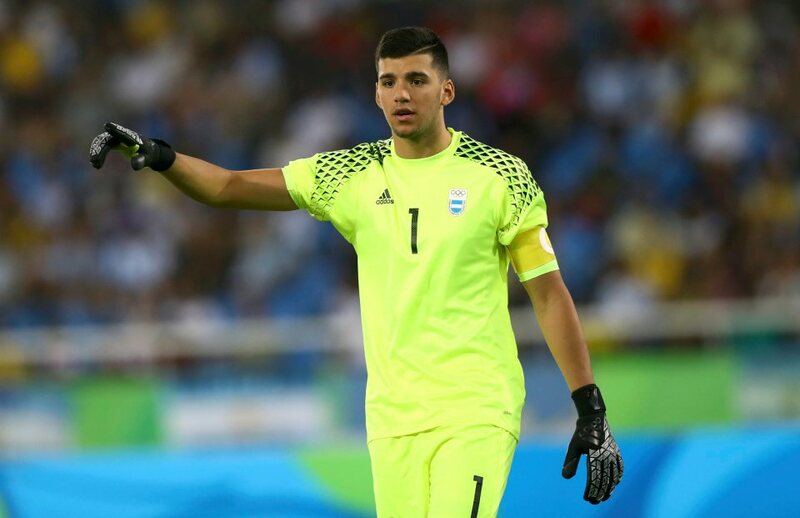 Finally, under Lionel SCALONI, RULLI was capped for the first time at the international level in September of 2018 against Guatemala. He was rarely called upon, but he did his job. He was given another start against Mexico in Argentina’s most recent match, playing 59 minutes and being replaced by Tottenham’s Paulo GAZZANIGA. His name has been a fixture on every one of SCALONI’s call-up lists since he took over as interim manager. Using the confidence of consistent call-ups and two starts for the national team, RULLI began to recapture his form in early 2019 for La Real. He has started between the sticks for each of Sociedad’s last nine matches, and they haven’t lost since. Over the past five matches, RULLI has kept a clean sheet in four of them, including three straight. He also saved a Raul Garcia penalty (though it was cleaned up for a goal) in Sociedad’s 2-1 victory over Athletic Bilbao. Dating back to when he regained the starting position in early January, RULLI has kept a clean sheet in six of nine matches, which include matches against Real Madrid, Real Betis and Valencia. In those nine matches, he’s allowed a measly five goals and made 32 saves. With RULLI beginning to put it all together once again, he has the perfect opportunity to seize the No. 1 goalkeeper position for the national team. ROMERO is a doubt to be called up for the upcoming friendlies and rarely plays for Manchester United, Franco ARMANI has been erratic for River Plate in the Superliga and the rest of Argentina’s potential goalkeepers don’t possess the talent 26-year-old RULLI does. Shouts for Nice’s Walter BENITEZ to get a chance are warranted (he should absolutely be called up for the upcoming friendlies), but RULLI has already been capped for the national team and has had more experience and success in a big league. With the goalkeeper position so up in the air for Argentina, a strong end to his La Liga season could see RULLI minding the net against Colombia on June 15 in Salvador, Brazil. Looks like the 3 goalkeepers that will be called up for the upcoming friendlies are Esteban Andrada, Franco Armani and Walter Benitez/Paulo Gazzaniga. That sound you hear is my article going up in flames!!! Rulli is a talented kid but sadly he’s been dangerously inconsistent over the last season and a half and he cannot be relied on, IMO Benitez, Musso, Gazzaniga, Romero and Armani are all ahead of him in the pecking order. Again Di Maria scored twice.. Still think he’s a great striker and can be an asset to the NT but he might need to get another agent, preferably one that he’s not married to. Honestly I have never been a big fan of Icardi, far from that, but I think he deserves a place. Especially when you select Pity and Di Maria who may cross a lot during a game, you need to have someone at the reception. My no.1 pick for the DM position right now followed by Ascacibar. Rulli is better than Romero but Scaloni has to first think twice and compare him with Benithez carefully before making last decision! the only sure and acceptable from everybody is that starter should be the best we have. ok let s move forward. who is now our starting goalkeeper? ROMERO. is Rulli better than Romero? NO. is Rulli proved till our days that he was even for one period of time better than Romero? AGAIN NO. so what on earth we are talking about from first place ??? Lol. people get overly excited when a player performs well and instantly ask for call up. Deep down, I don’t think anyone except Romance believes Rulli better than chiquito Romero. Romero is certainly nearing the end so I hope Benitez, Gazzaniga, or Rulli step up! 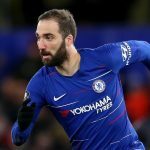 Does anyone know when we should expect the list of players for the international break to come out? I always liked him so at the very least he should be in the squad. Absolutely yes there are very few goalkeepers better than inform rulli. It should be rulli , Romero and benitez , we can take gazzaniga in Copa 2020 though , if he performs well. As per some reports benedetto, saravia and matias zaracho will be part of the friendlies squad from the argentine league. A total of 5 players can be expected from local league. Let’s try the kid from Nice in the coming friendlies and see how that goes, if not then Romero. Rulli One of the worst goalkeeper I have ever seen. My choice for copa benitez, Gazzinga and Musso…. dude, Rulli doesn’t have much in his defense. He’s made a ton of errors. 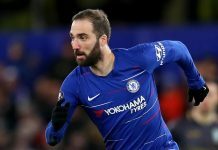 He was showing signs few years ago but he’s inconsistent and has only improved recently.